Donald Trump: the United States of America is NOT your country alone – it is a nation of, by, and for immigrants | JULIUS C. WILLIS JR: Our World, Today! Donald Trump needs a lesson in history. Donald Trump extravagantly displayed his lack of modern worldliness when he claimed that immigrants are not deserving of US citizenship – and that those who were born in this country of illegal immigrant parents are not, could not and should not be US citizens. Ever since the first wave of pilgrims braved the unknown to seek a new and better life in America, the land which we now call the United States had become the home of immigrants, albeit with the reluctant permission of the true Americans who were referred to as “natives” or Indians. The first “pilgrims” to come to America were illegal immigrants. Since then, the United States of America has become home to immigrants and will continue to be home to immigrants. By virtue of the pilgrims’ adventure, all migrants to the United States are, in reality, illegal. Mr. Trump’s rhetoric sounds nice but is nevertheless plain poppycock. First, a wall across a nation’s borders will not stop migration, legal or illegal, and will only be costly and a burden to society. Second, we need to enforce our laws – but the proper enforcement of laws is a matter of good government and not of matter of enacting more laws. Finally, who says the United States government’s policy is not to serve its citizens and serve them well? Mr. Trump spews a bunch of dangerous rhetoric. His talk is so divisive and extremist that he may be leading the country into a dangerous path. Mr. Trump’s chants are rebellious, seditious, mutinous and insurgent to say the least. There is nothing wrong with “amnesty, cheap labor and open borders.” The United States of America became a great nation because of its open borders and the influx of immigrants – legal and illegal. 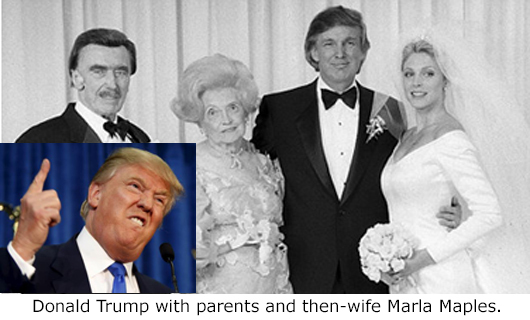 Mr. Trump’s own parents were the very type of immigrants that Mr. Trump derides. In this new, modern world the laws on migration – rules that control the movement of people between national boundaries – should be more pragmatic. A nation’s geographic boundaries should only define that country’s physical size and location and not be a deterrent to the free movement of men and their commerce. Market, political and social forces should be the exclusive determinant of where people live and work. A country may be populated by two types of people: its citizens and its immigrants. A nation’s citizens are those that determine the nation’s course and elect the nation’s leaders. Only citizens may receive assistance from their government and society. Immigrants are those that come to help run the nation’s industry and commerce for employment and a living. When immigrants cease to be productive members of society, they must leave the host country. In the new world, the modern world, people must be free to move about as they please, as long as wherever they are they become gainfully employed and are not otherwise a burden to society. For a man whose mother was an immigrant and whose father was the son of an immigrant, Mr. Trump’s anti-immigrant stance is mind-boggling. His mother, Mary McLeod, came to the US from Scotland in 1930 and married the son of a German immigrant, Fred Trump. Based on his own ‘principles’, Mr. Trump is not and cannot be a US citizen, unless he can prove that his parents picked him from among New York’s native Abenaki and Cayuga tribes. Hopefully, Mr. Trump will find it in his heart to want to unite the people of this country in a common effort to improve life and the general well-being of all its population – all the people – without having to pound on a part of that population that he so insidiously dislikes. When he gets to do that, we’ll be willing to concede that Mr. Trump’s hair is real. This entry was posted in Uncategorized and tagged American racism, Donald Trump, illegal immigrants, immigrants, immigration, Racism, Republican Party, US presidency. Bookmark the permalink.